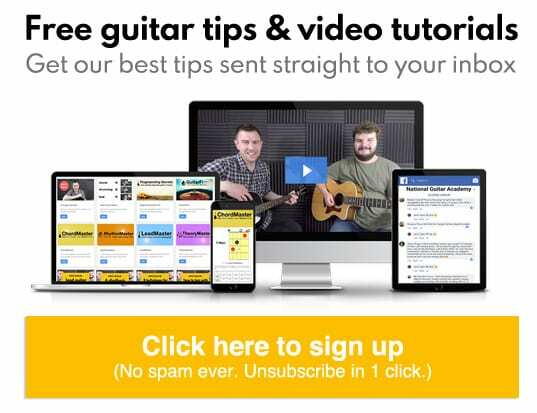 Wondering how to learn guitar? This free guide will give you an 11-step roadmap you can follow. In this free guitar lesson you’ll learn everything you need to get off to a perfect start. Quick-start gear guide: Guitars, tuners, picks etc. 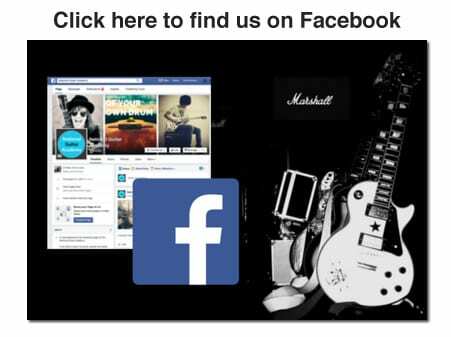 After reading this guide you will clearly understand how to learn guitar. Let’s do it! There are dozens of different types of guitar and they play very differently. Some are easy to play. Some are difficult to play. The guitar you choose to learn with has a huge influence on your chances of successfully learning the instrument. Any guitar is better than ‘no guitar’ of course, but ideally, you want a guitar that suits your body shape and size. This will make a profound and long-lasting difference to your guitar journey, so treat it seriously. You don’t need to spend much, but as a beginner you do need a guitar that is super-playable, will stay in tune and is in otherwise good working order. A rubbish guitar is going to sound rubbish, no matter how hard you practice. As a general rule I’d say don’t pay any less than $150 / £120 for a guitar and ALWAYS try before you buy. Some affordable guitar brands you should check out are Squier, Yamaha, Redwood, Farida and Ibanez. You could borrow a guitar to begin with (if you have a kind friend or family member who doesn’t mind lending you their guitar), but this should only be a temporary measure. If you’re serious about knowing how to learn guitar you need to make a commitment and shell out for your own hardware. You’ll also need a guitar strap and a few different guitar picks (a pick thickness of 0.65-0.73 is best for beginners). If you want to learn electric guitar then you’ll also need a cable and a small practice amp. 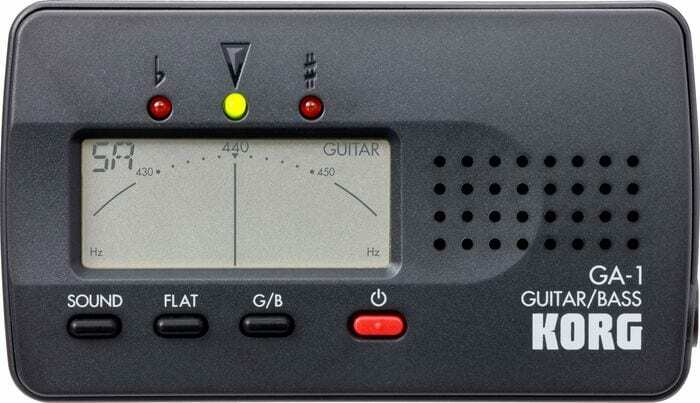 A good guitar tuner is a wise & worthwhile investment. There are 4 main types: microphone-based tuners, vibration-based tuners, pedal tuners and smartphone apps. Vibration-based tuners clip on to the guitar and tune by vibration. (They can still tune in a noisy environment, unlike microphone-based tuners.) My favourite is the Snark. 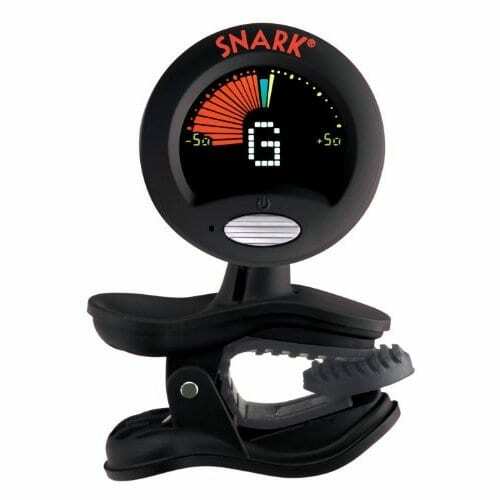 Pedal tuners are very accurate tuners for electric, bass and electro-acoustic guitars. Smartphone apps can tune your guitar quickly and cheaply. There’s tons of free ones out there. Here’s a quick demo of a guitar tuner in action. Some guitars and amps come with built-in tuners. These can be handy, but they’re rarely as good as dedicated tuners. As you learn more you’ll find you don’t always need to use a tuner to tune. But as a beginner, having a tuner is essential. Me: Could you play your ‘A’ string? Student: Which one’s the ‘A’ string again? Student: Which way are the strings numbered again? 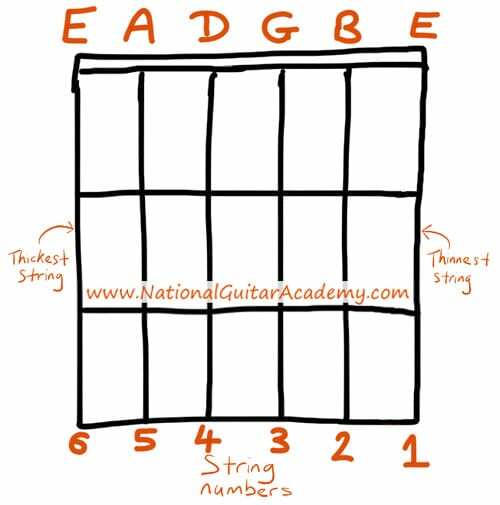 Figuring out how to learn guitar will be difficult for you if you don’t know which string is which! Going from the thickest to the thinnest our guitar strings are: E A D G B E.
Elephants And Donkeys Grow Big Ears. Eddie Ate Dynamite, Good Bye Eddie. Our strings are numbered 1 to 6 going from the thinnest to the thickest. This is a bit confusing for beginners because when we strum we normally start with the thickest string, so people tend think of that as the first string. There’s an entire section of this site dedicated to easy beginner chords, so have a good look around there. 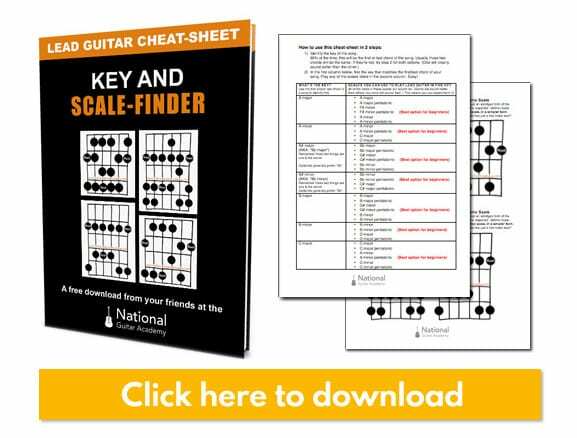 Chords are an essential part of understanding how to learn guitar. The easiest way to learn chords is to follow Mike’s stepping-stone approach. For every chord you see, there is an easy version. As a beginner, you simply will not be able to play chords like F or B. Choosing option 2 allows you to have fun playing music while developing your dexterity and control. This allows you to ‘graduate’ to playing the more difficult chord versions later. If these chordboxes don’t make sense to you, read our article ‘How To Read Chordboxes In 60 Seconds‘. Even if your chords sound a bit clunky at first and even if they take a long time to change one to the other, you must persevere. 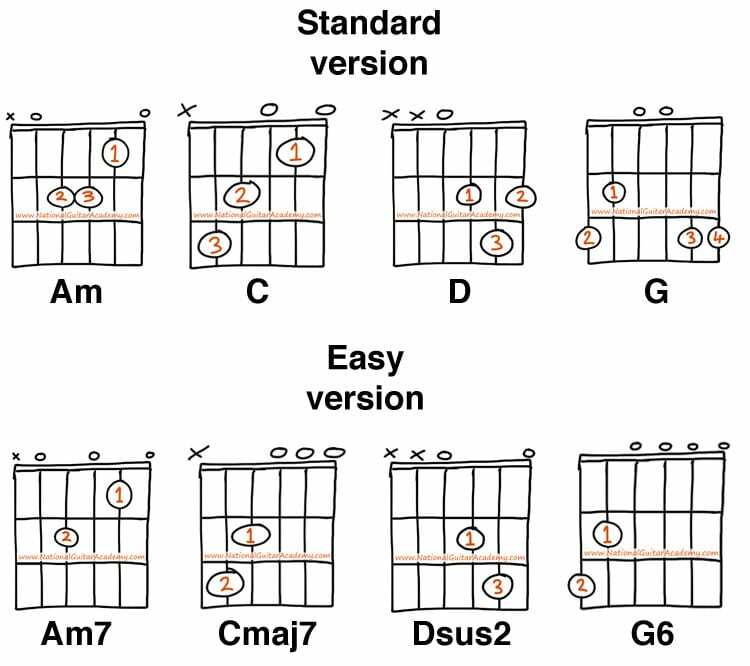 As long as you use easy chords you will improve quickly. These things take time and patience, but if we know the chord shapes and the chord names, we’re on the right track. If the chords aren’t sounding right it could be that your fingers aren’t pressing correctly. Use the very tips of the fingers, not the fingerprints. Understanding how to learn guitar boils down to two things: knowing what to do with your left hand and your right hand. Of all the different components that go into making music, the melody, the harmony, the form… The most important of all is the RHYTHM. We can make music that doesn’t have melody, we can make music that doesn’t have harmony and we can make music that doesn’t have any set form, however, music cannot be made without RHYTHM. If you want to know how to learn guitar, you must be able to strum chords rhythmically. The most common mistake I see people make when learning to strum is trying to put too much power into their strums. Relax dude, you don’t need to strum hard; even if you want to play loud, you don’t need to strum powerfully. As much as I love the music of Pete Townsend, he is a bad influence because his trademark windmilling approach to guitar playing has convinced a lot of people that that’s how it’s done. This is an entertaining piece of stagecraft, but it’s not how you should aim to play your guitar. “But I’m into metal! I’m into punk! I want to play loud!” you may be saying. You don’t have to strum hard to play loud. Playing in time is more important than playing loud, no matter what the style of music and learning to strum in time and with rhythm should be your number one aim as a guitar learner. Most people find that when they’re first figuring out how to learn guitar they choose a softer pick. Then, as they progress they switch to a heavier pick as they want more control and accuracy. As a beginner, a pick thickness of 0.65-0.73 is perfect. 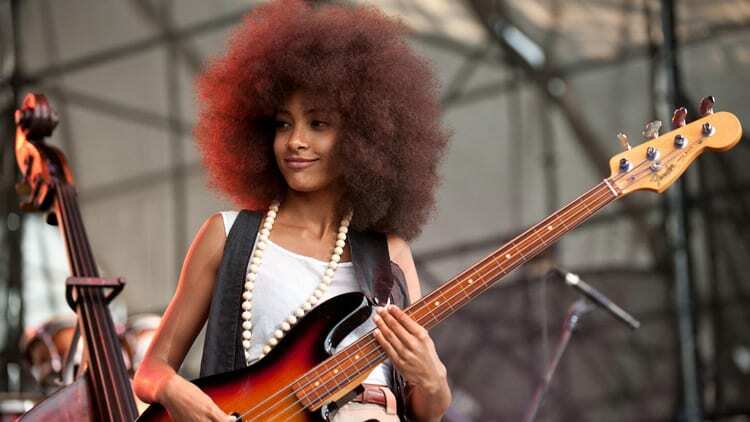 Any thicker and it becomes much harder to strum with fluidity. Whatever pick you choose, don’t hold it like it’s some weird object you’d rather not be holding. Grip it between your thumb and forefinger so just the pointy bit is sticking out. A big part of understanding how to learn guitar is understanding how you make contact with the guitar. This seems like a small detail, but it’s huge. In this picture, the pick is being held too far back. Lots of beginners find picks difficult to use so they take the path of least resistance and start strumming with their fingers or (heaven forbid) their thumb. This might feel easier to begin with, but playing with your thumb is a terrible, limiting habit. Playing with your fingers is fine, of course. As a guitarist, you need to be able to play with a pick AND your fingers. Practice with both, but do not abandon the pick. If you want to know how to learn guitar, you must be comfortable using a guitar pick. Fact 1) You’re much more likely to successfully learn the guitar if you practice a lot. Fact 2) You’re much more likely to practice if you enjoy practicing. Fact 3) You’re much more likely to enjoy practicing if you LOVE the music you play during your practice time. Tilt the scales in your favour by learning music you love. Whenever I take on a new student I try to get them to throw as many song titles, band/artist names and genres at me as possible. The more I know about their taste in music, the more likely I am to be able to find a good song or two for us to start off with. Obviously some songs might be a bit difficult to begin with, but it’s still good to let your teacher know you want to learn them. They will be able to simplify them a bit for you. I alluded to this in the previous point. It’s important when learning any new skill to have the support and guidance of someone who is an expert. It can take a few attempts to find the teacher that’s right for you. That’s normal and you should expect it. It’s all part of understanding how to learn guitar. A good guitar teacher will totally transform your chances of successfully learning the instrument, so keep looking and don’t get discouraged if after 3 or 4 teachers you still haven’t found one that ‘clicks’ with you. Are there any songs you’re particularly keen to play? 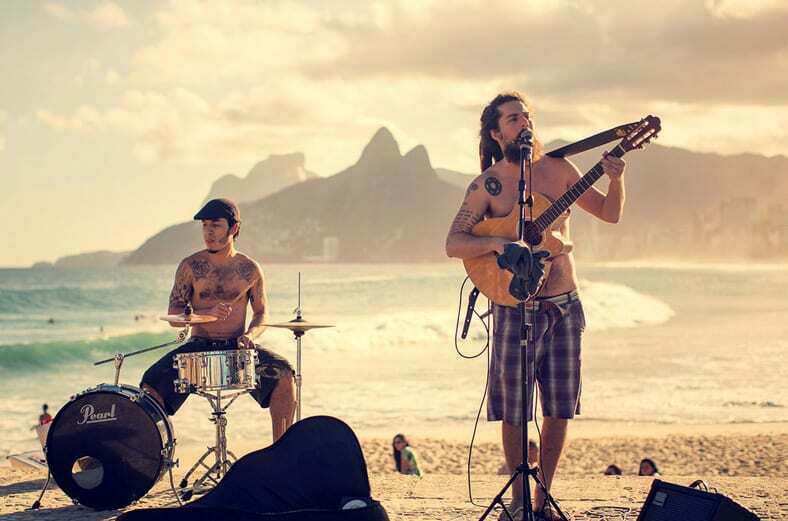 Do you one day hope to play gigs or open mic nights? Do you dream of playing in a band? Don’t be vague. Guitar is different things to different people. You need to explicitly specify what ‘success’ looks like to you. Figuring out how to learn guitar can be tough, but with a teacher who has a clear idea of what you want to achieve, it’s a lot easier. For example, don’t just say ‘I want to learn guitar’. It would be much better to say something like ‘I want to learn blues lead guitar and sound like B.B King on ‘Every Day I Have The Blues” or, ‘I want to learn to write acoustic songs and sound like Bob Dylan playing Subterranean Homesick Blues’. You get the idea. Give specific examples and cite specific artists. The more I’ve played and the more I’ve taught there’s one thing I’ve been increasingly convinced of. The difference between good guitarists and not-so-good guitarists is not whether they have long fingers or short fingers or whether they have big hands or small hands or whether they come from a musical family or not. ‘Talent’ is a tiny part of the equation. The thing that makes a difference is practice. If you want to know how to learn guitar you need to be smart about how you approach practicing. Ideally you want to practice your guitar for about fifteen minutes per day, but even five minutes a day will see you make clear & satisfying progress. Don’t try and cram all your practice into one day. Perhaps more importantly though, even if you’re 100% certain you have that day free, you’re giving yourself a HUGE workload. Whenever we start learning a new skill we all want to be good straight away, but of course it doesn’t work like that. 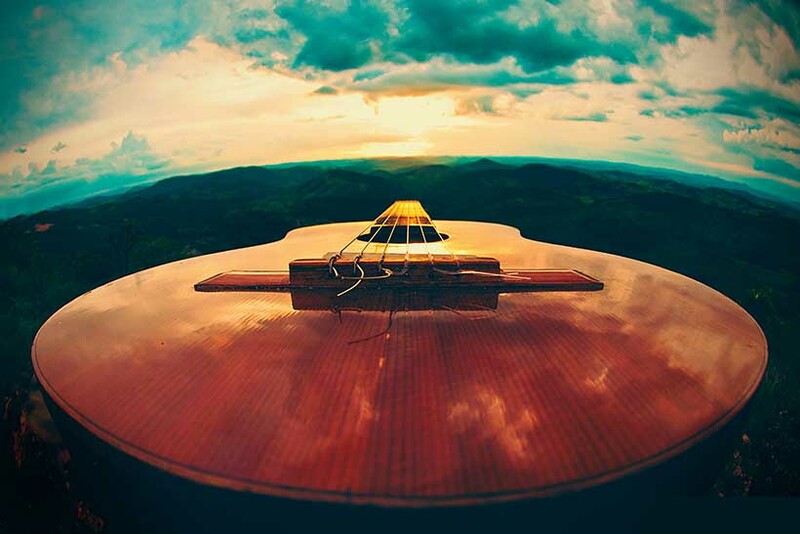 As you move forward in your journey of figuring out how to learn guitar there will be ups and downs. Take a deep breath. Stay calm and don’t get frustrated with yourself or with your instrument. I know this is easier said than done, but the fact is, it is the only way to get past these inevitable hurdles. This is also why I recommend fifteen minutes practice a day rather than a couple of hours on your day off. If you ask too much of yourself of course you will lose patience with yourself. 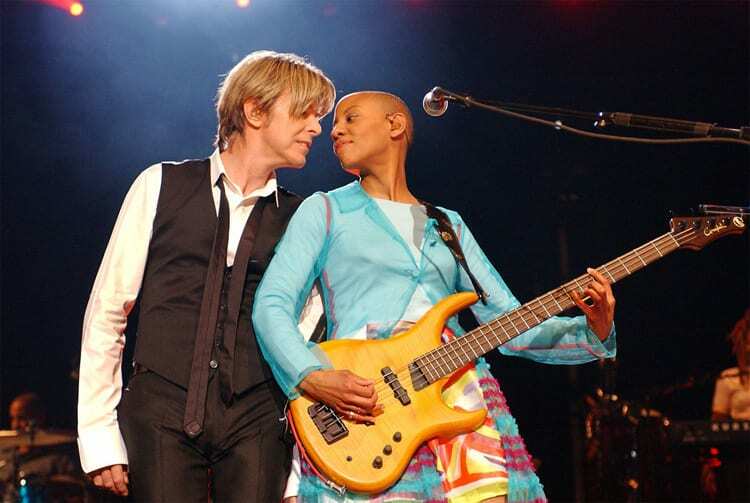 When I was learning guitar there were two types of people who I found to be off-putting. Other guitarists who were further along with their playing than me. Armchair critics – ie. people who couldn’t play guitar at all but felt their opinion of my playing needed to be heard. Regarding other guitarists, what you have to remember is they most likely didn’t get good at guitar to make you feel bad about yourself. More likely they got good at guitar because they wanted to feel good about themselves. With this in mind, try and focus on doing the same. Don’t view other guitarists as your competition and don’t be distracted by what they’re doing. Concentrate on what you’re doing and try and enjoy yourself. This is another good reason to find a good teacher. Your teacher will be able to give you an accurate and helpful critique of your playing that will inspire you to keep practicing.